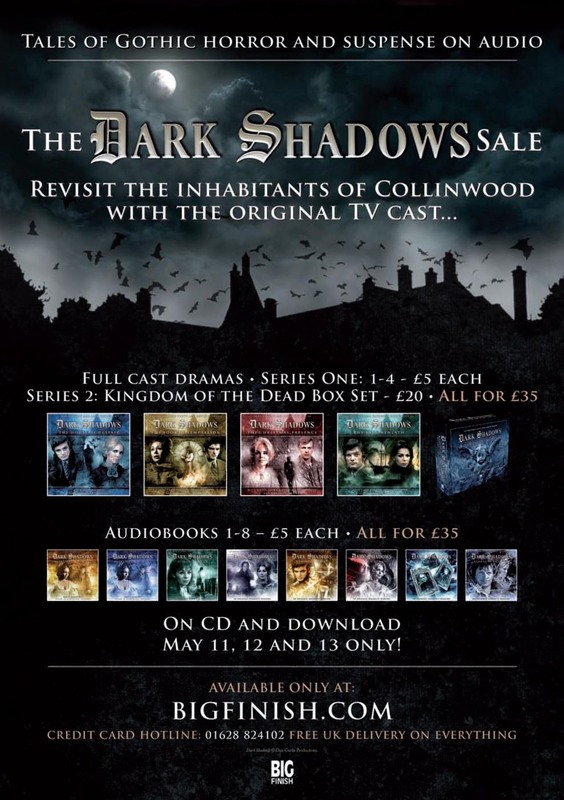 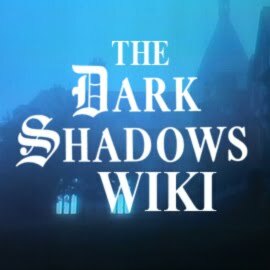 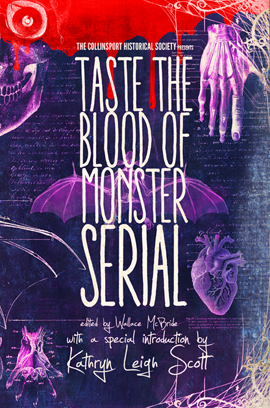 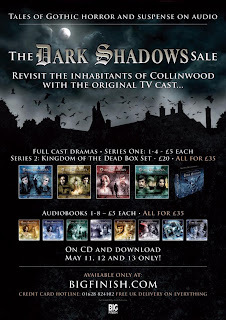 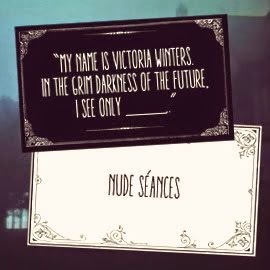 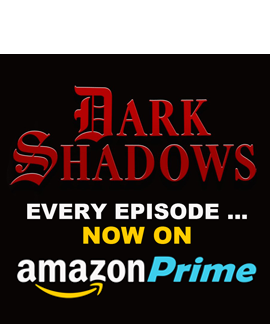 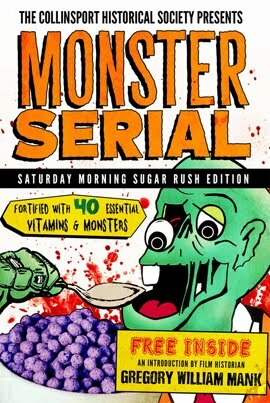 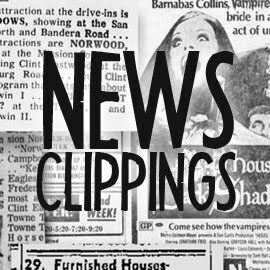 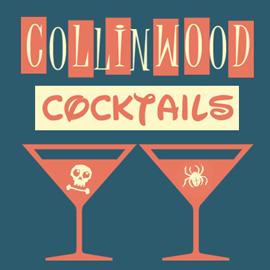 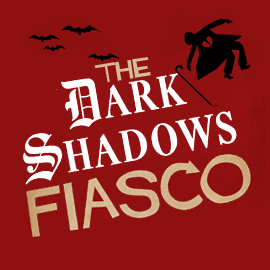 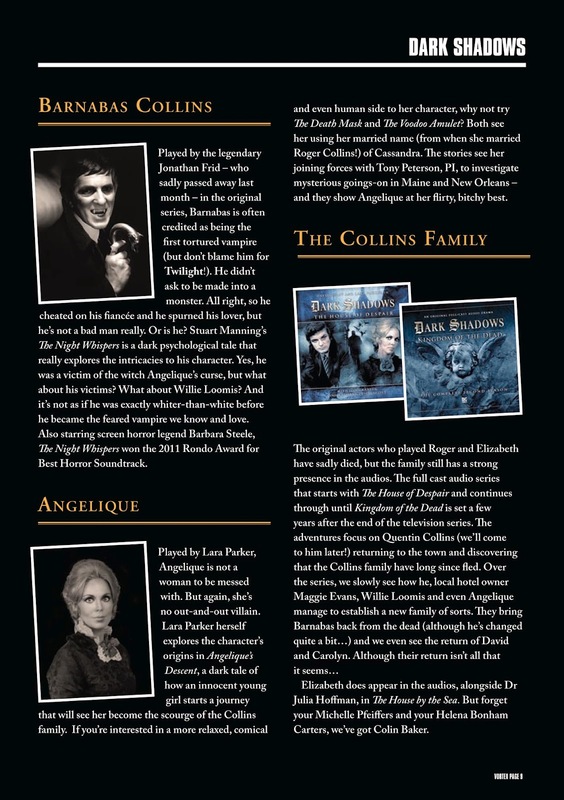 Big Finish, creator of the Dark Shadows audio dramas, publishes a free online magazine to help keep customers informed about their products. 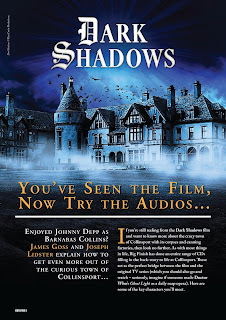 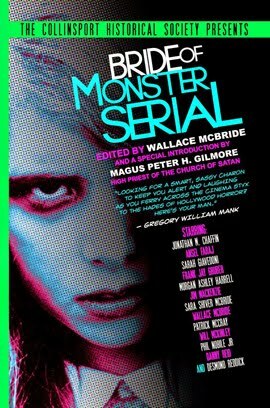 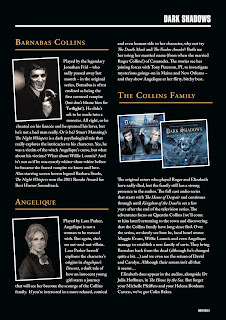 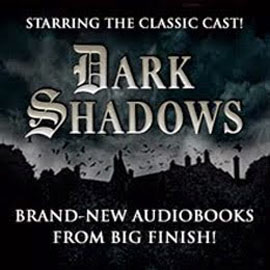 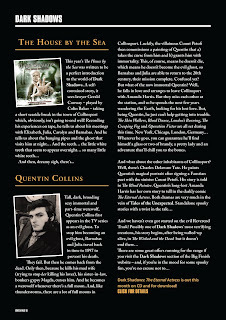 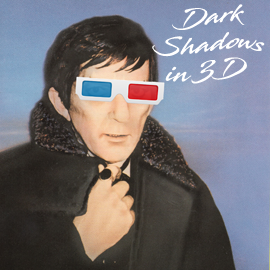 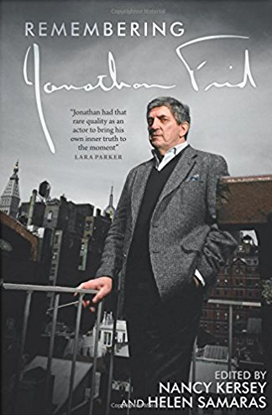 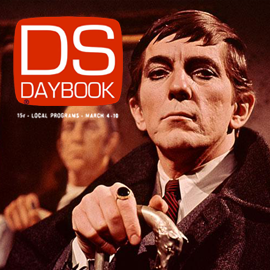 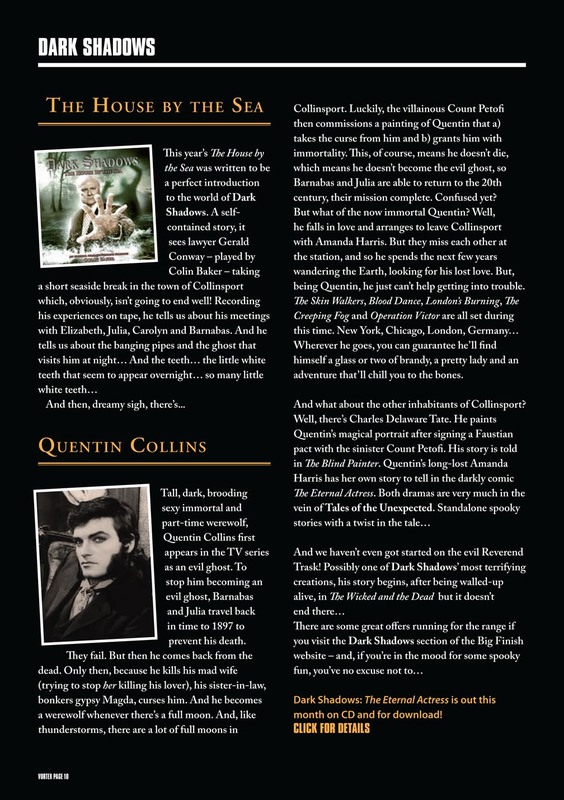 The most recent issue includes a feature on Dark Shadows, as well as a look at the related audio dramas available from the company. 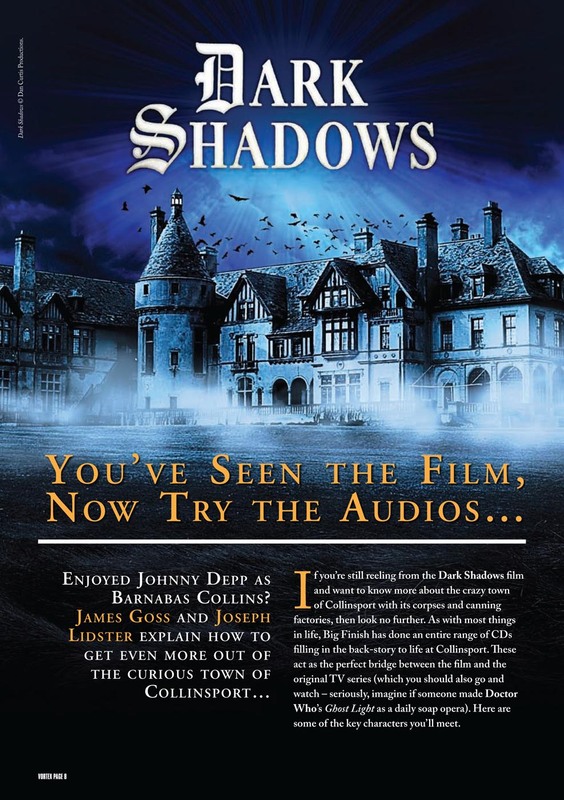 I've posted the pages from this issue related to Dark Shadows, but you can download the entire issue for free at this link.